Sevilla FC vs. Getafe CF, Bernabéu Stadium, Madrid, Spain. 23 June 2007. Sevilla won 1-0. Taken in the Santiago Bernabeu stadium during the Spain's Cup (Copa del Rey) final game between Getafe CF and Sevilla FC, Madrid, 23th June 2007. 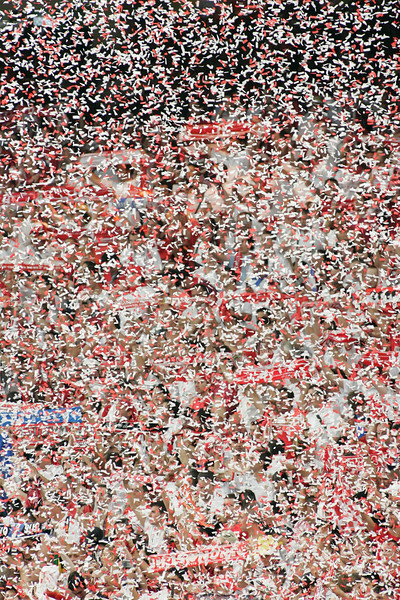 Sevilla FC won the game 1-0 and got its 4th Spain's Cup.